A clinical trial is a type of research study that involves human participants/volunteers, that are meant to add to the understanding of a new treatment, product, or exposure towards a certain population. Thus they are regarded as the gold standard in experimental research studies. Most medical, pharmaceutical, and/or nutraceutical treatments that are used today are the results of past clinical trials. What is a Randomized Controlled Trial (RCT) study? A Randomized Placebo-Controlled Trial (RCT) is commonly known as the gold standard in clinical experimental trials. 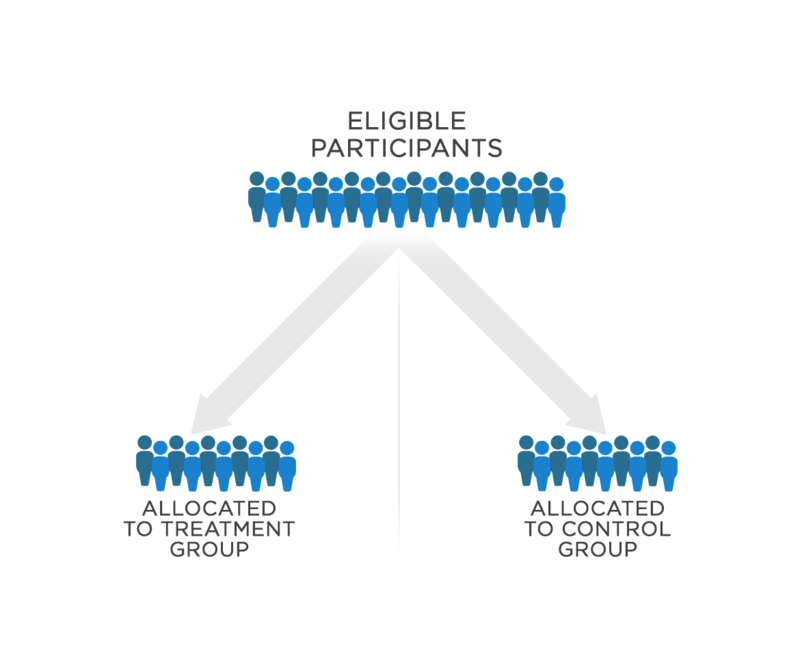 Randomization occurs in study designs where participants are randomly assigned into either the experimental group receiving an active treatment or a control group receiving no treatment or a standard treatment. This ensures the greatest amount of reliability and validity of statistical elements by reducing assignment bias. Studies that utilize a placebo in their control group means that the treatment given to this group has no real effect. The purpose of having a placebo or control group is to ensure that the treatment is compared against one without a treatment to see if there is a true effect of a treatment or product. Blinding in an experiment occurs normally in two ways: single-blinding or double blinding. Single-blinded trials means that the participant is unaware which group they belong to (the treatment or the placebo). If both the test and subject are blinded, the experiment is considered a double-blinded study. Blinding is used whenever items are compared without influence from the testers’ or participants’ preferences and/or expectations. Why is it important to conduct clinical trials¹? The research team at Allysian sciences have done an extensive literature review extracted from PubMed, the Cochrane studies, the Natural Medicines Comprehensive database, and the National Library of Medicine on our flagship product, MasterMind™. We have reviewed and extracted well over 400 clinical trials, including in vitro studies, animal research, case-control, cohort, randomized control trials, and meta-analyses supporting the individual ingredients in MasterMind™ from the last 35 years. Of these studies, approximately 150 were used by our advisory board and research team of medical professionals to analyze the efficacy of ingredients on cognitive function. Furthermore, Allysian has taken one step further and surpassed the industry’s standards of reviewing ingredients, and have recruited a third-party clinical research organization to conduct an independent placebo-controlled trial on the Mastermind formula itself. At Allysian Sciences, we value the evidence-based approach to nutraceutical products and health. Thus we have recruited several research organizations to review and screen the Allysian MasterMind™ prior to releasing the product to ensure standards of quality and efficacy are met. One of these organizations include three doctors from the Centre for Human Nutrition at the University of Western Ontario. U.S. Pharmacopeial Convention (USP) was responsible for extracting the active ingredients to formulate our MasterMind product. USP’s drug standards are enforceable in the United States by the Food and Drug Administration, and these standards are used in more than 140 countries²,³. We have tested our herbal botanical extracts against USP’s unbiased and scientifically sound specifications through analytical methodologies, to ensure the safety, quality, and efficacy of our products. National Heart, Lung, and Blood Institute. (2014). Clinical Trials. National Institute of Health. U.S. Pharmacopeial Convention. (2015). USP Dietary Supplements Compendium.